An insightful and agile business management system can help you achieve exceptional results by driving every aspect of your end-to-end process towards increased performance, efficiency and profit. At Codestone, we specialise in delivering Enterprise Resource Planning (ERP) solutions to all kinds of professional service providers, from accountants to engineers. How can ERP software benefit professional services? Customisable and fully scalable ERP software, SAP Business ByDesign, is built to support each element of professional service delivery and maximise their efficacy. Combined with Codestone’s understanding of the intricacies of professional service provision, a dynamic ERP platform is the catalyst to drive your business forward. Our eBook that outlines the unique value we offer as your SAP Business ByDesign partner. Key features of a robust yet flexible cloud-based ERP for professional service businesses, available on-premises and on any connected mobile device. 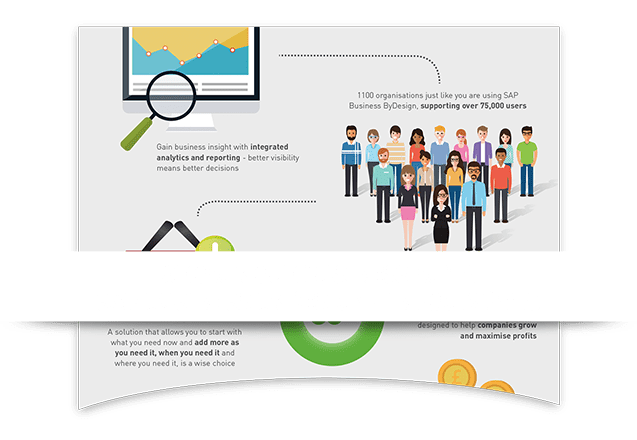 SAP Business ByDesign uses one source of centralised data to inform your professional service business plans and allows you to make quick adjustments as deliverables change. Create and manage all your professional service projects in SAP Business ByDesign. Streamline your project set up, execution and evaluation phases. SAP Business ByDesign gets under the bonnet of your customer interactions to increase engagement and brand loyalty. Boost revenue by enabling SAP Business ByDesign to make time and cost-effective savings across your entire procurement portfolio. With detailed analytics built into every module, SAP Business ByDesign provides an accurate and up-to-the-minute picture of your business performance. Deploy an ERP solution such as SAP Business ByDesign with Codestone and achieve all this and more for your professional service business. Unlock new levels of productivity and profitability thanks to refined working practices and project management. 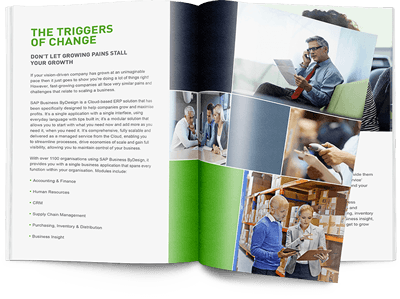 Gain control by retiring your business silos and seamlessly combining every area of your business. Remove the need for multiple data sources and access real-time business insight from anywhere at any time.